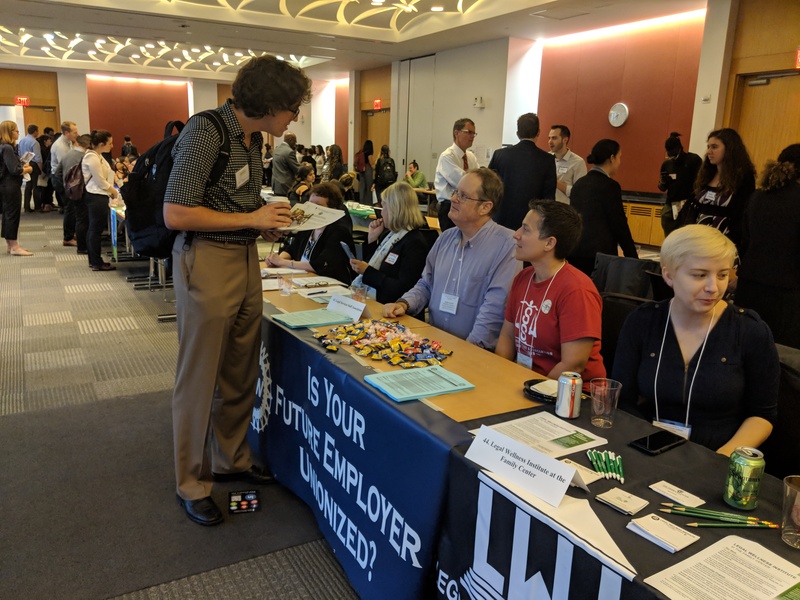 Our union attended the Fordham Public Interest Legal Career Reception on September 13, 2018 and spoke with law students about the benefits of working at a unionized organization. Most had never considered whether an employer was unionized to be a factor in their job search, and were excited to learn what a positive impact it could have on their pay, benefits, working conditions, and ability to impact client services and the direction of their organization. Sitting with a banner reading “Is your future employer unionized?,” we handed out a list of unionized employers across the country so that no matter what state their job search takes them to, law students can be sure to send their application to unionized employers in that state. To learn more and to download information on working for a unionized employer, click here.